Harrat Ithnayn volcano is volcanic field of 4000 sq km size in western Saudi Arabia north of the Harrat Khaybar volcanic field. It consists of various shield volcanoes and scoria cones, and contains large basalt flows with lava caves. 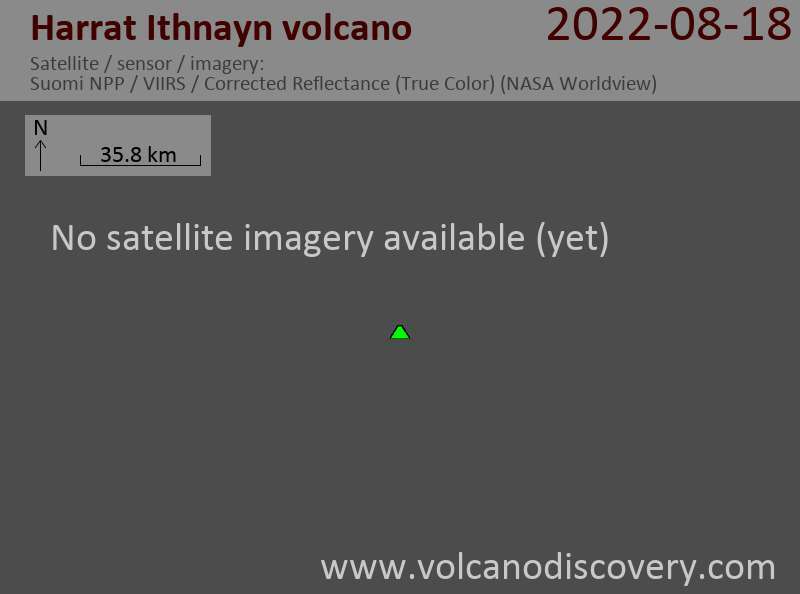 The youngest lava flows from Harrat Ithnayn are less than 4500 years old. The Harrat Ithnayn volcanic field started to erupt about 3 million years ago and overlies Cambrian sandstones and Precambrian basement rocks. The volcanic vents are roughly aligned in N-S direction, but are more scattered than those of the other Harrats in the area. The magmas of Harrat Ithnayn are of basaltic and basanitic composition and lack the silicic components present in neighboring Harrat Khaybar. Many lava caves are found across Arabia's basalt fields. One of the most known of the Harrat Ithnayn field is the 530 m long Kahf Al Shuwamis Lava Tube (Shuwaymis Cave, Shisma Cave), located at the base of Hazim Al Khadra volcano 240 km north-northeast of Medina. Thermal activity, manifested in fumaroles emanating from shelter caves are nearby.